March 21, 2013 was the day our relationship with Texas Children’s Hospital changed. My husband, Matt, and I are both employees at the hospital, so Texas Children’s is very near and dear to us. 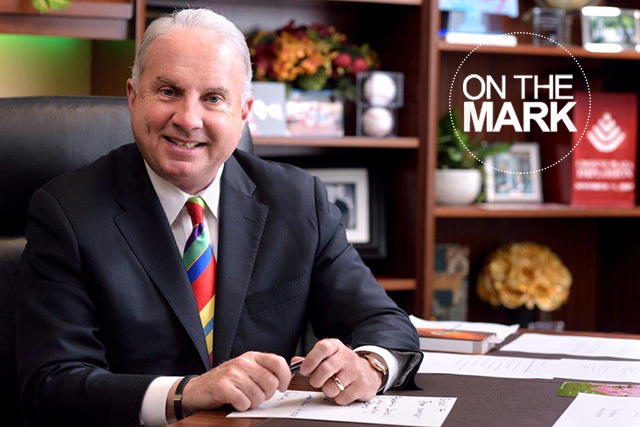 We have enjoyed our many years serving our patients and working with the wonderful employees of this organization. I have been a nurse here for 16 years and my husband has worked here for 13 years, currently in the Texas Children’s Heart Center. We’ve spent so many days throughout the years walking the halls of Texas Children’s doing what we love, but on March 21 we realized we were going to be experiencing the hospital as parents, not just as employees. Luke, our unborn son had been diagnosed with a congenital heart defect – coarctation of the aorta. The fetal cardiac imaging team at Texas Children’s detected this defect through a fetal echocardiogram. This enabled them to see the function of Luke’s tiny heart, at just 22 weeks gestation! Although in disbelief, we were thankful for this early detection as it was critical for many reasons. Not only did it help the medical teams plan for Luke’s delivery, but it also allowed Matt and me to ask questions and fully understand the defect and how it might impact him. Even though we work in health care, we had so many questions and were increasingly anxious about the health of our son. Between our wonderful OB, Dr. Kimberly Bobo, at Texas Children’s Pavilion for Women, and the Heart Center and Fetal Center teams, we felt less anxious and certainly very prepared for the possibilities. We were comforted by the countless support staff and multidisciplinary experts we worked with for the months leading up to Luke’s birth. We were never treated as if our questions and concerns were naive and always felt as if each person we encountered was giving us their full attention and compassion for our situation. As Luke’s birthdate neared, our excitement, as well as our fears grew – the unknown factors were many, but we knew that his care teams were as prepared as possible to handle any situation. His delivery was uneventful (thank goodness!) and there was a NICU team on hand to start his care immediately. He spent a few days in the NICU being monitored closely. Luckily, he remained stable and after a reassuring echocardiogram, we were sent home. It wasn’t until our one month follow up appointment that we learned the narrowing in his aortic arch had worsened and it was time for surgery. No parent should ever have to experience their child going through heart surgery and the related recovery. It can be a frightening experience and one that we hope to never have to go through again. That being said, the team of experts at Texas Children’s who cared for Luke is among the best in the country. We found comfort in knowing that this is a very typical day for the surgical and medical teams who cared for Luke as they encounter highly complex cardiac patients on a daily basis and perform high volumes of surgical procedures just like Luke’s frequently. We knew he was in the best hands possible for a positive outcome. After a very long day of waiting while Luke was in the operating room, we learned his surgery was extremely successful and spent the next several days recovering with him in the cardiovascular intensive care and cardiac acute care units. Luke had an uneventful recovery period so we were able to take him home just a few days after his surgery. Since that time, we have been followed by his cardiologist and Luke is currently a very happy, healthy 7 month old boy. We are so thankful for the numerous individuals who looked after Luke during this phase of his life and who continue to ensure he remains healthy. 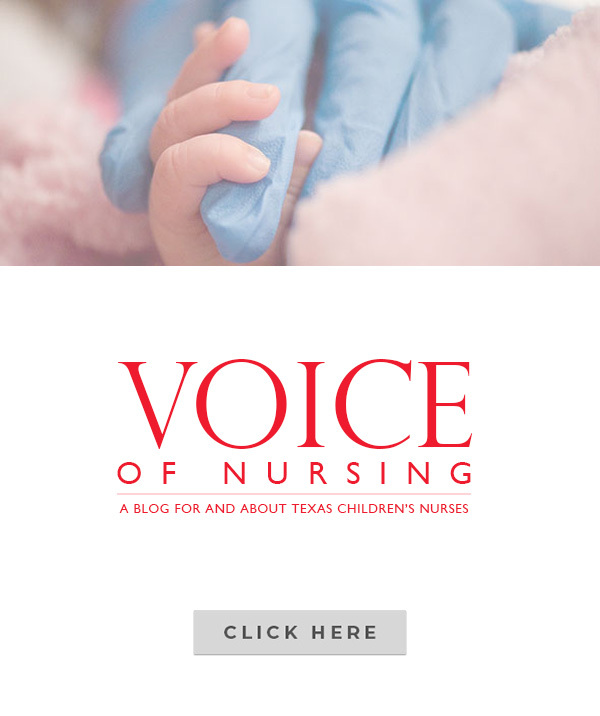 One of the reasons Texas Children’s is so remarkable is the sheer number of clinical and technical experts who are involved in the care of just one child. From cardiology, congenital heart surgery, obstetrics, maternal fetal medicine, cardiac imaging, critical care, and acute care, Luke encountered truly inspiring individuals who are experts in the care of children with congenital heart disease. As a parent, it is almost hard to believe that so many experts are available to us to care for our child. 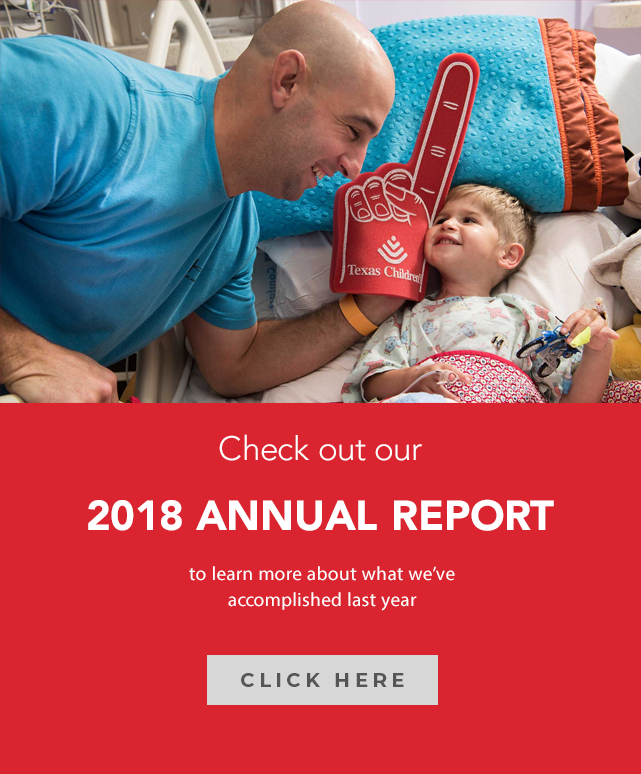 As fellow employees, we are proud to be a part of the amazing team at Texas Children’s and know that we are providing this level of care and compassion to all patients and families. You can learn more about Luke’s journey by watching this video.